The North Development Region (NDR) of the Republic of Moldova includes Bălți municipality and 11 districts: Briceni, Edineț, Dondușeni, Drochia, Fălești, Florești, Glodeni, Ocnița, Râșcani, Sângerei, Soroca, with a surface area of approximately 10.014 km2, which accounts for approximately 29.6 of the total surface area of the Republic of Moldova. The population is 1013,7 thousand people (28,6% of the total population) and correspond to NUTS II European Statistical System. In the NDR there are 571 communities, including 20 towns and 551 villages, of the 1679 localities in The Republic of Moldova. The NDR has borders to the north and to the east with Ukraine and Romania, and to the west, to the south-east with Development Region of Transnistria, and to the south with the Central Development Region. The NRD has 11 connection points with neighboring countries – Romania and Ukraine. The connection with European Union through România can be made by the follow crossings Costești-Stânca, Lipcani-Rădăuți, Prut, and Criva-Darabani. The NDR is accessible via all four modes of transportation: air, road, river, and rail. It is the only region that has the opportunity of access by air through two airports: International airport in Balti (Leadoveni) and Mărculești International airport. International Airport in Balti is certified and open for the carriage of passengers and goods, but for the moment it is used only for non-commercial flights. The NDR is traversed only by one international road: Giurgiulești-Briceni corridor, with a length of 460 km and two national roads: M-14 and M-2. Ion Leucă, President of North RDC: Socio-economic development in the North Development Region is important both, in the context of Moldova's integration into the European Union as well as in the national context. 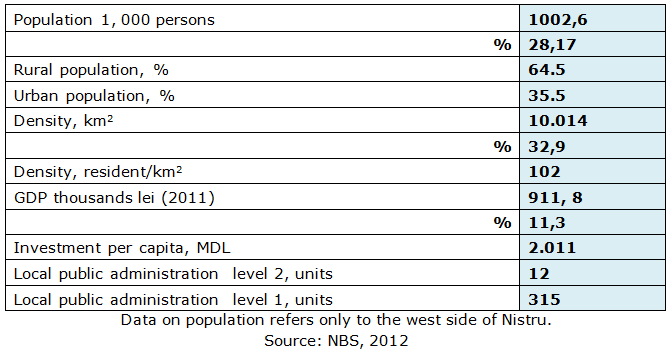 North Development Region has a vast potential which can be exploited. Certainly, North Development Region has a number of advantages for development and attraction of foreign investments: favorable geographical position for a better border cooperation, international customs checkpoints with Ukraine (road and rail) and Romania (auto), favorable agro-climatic conditions for agricultural development, relatively diversified industrial potential, varied transport infrastructure etc. Different sectors contribute to the formation of a regional product. In recent years the tendency changed in the structure of the sector of the economy. Thus, in 2008, the share of agriculture in GVA amounted to 25%, a reduction of 6-11% compared to previous years. At the same time, the contribution of services rose to 47%. Having a developed industrial potential, the NDR is highly productive, particularly in the processing of milk (cheese, yogurt, kefir, butter), preserved vegetables, production fodder for animal feed, flour and grits, tobacco etc. At the same time, the NDR is characterized by a low level of industrialization in the wine production and other alcoholic beverages (wine, cognac, vodka) due to unfavorable climate for growing grapes, and because of the inefficiency of grapevines in the region. The NDR is exclusively specialized in sugar production (strategic economic branch of Moldova) because in this region all sugar factories in Republic of Moldova are located, which stimulates sugar beet cultivation in the region. At this moment, sugar beets are processed by three companies that provide the domestic market with sugar, and the surplus is exported abroad. 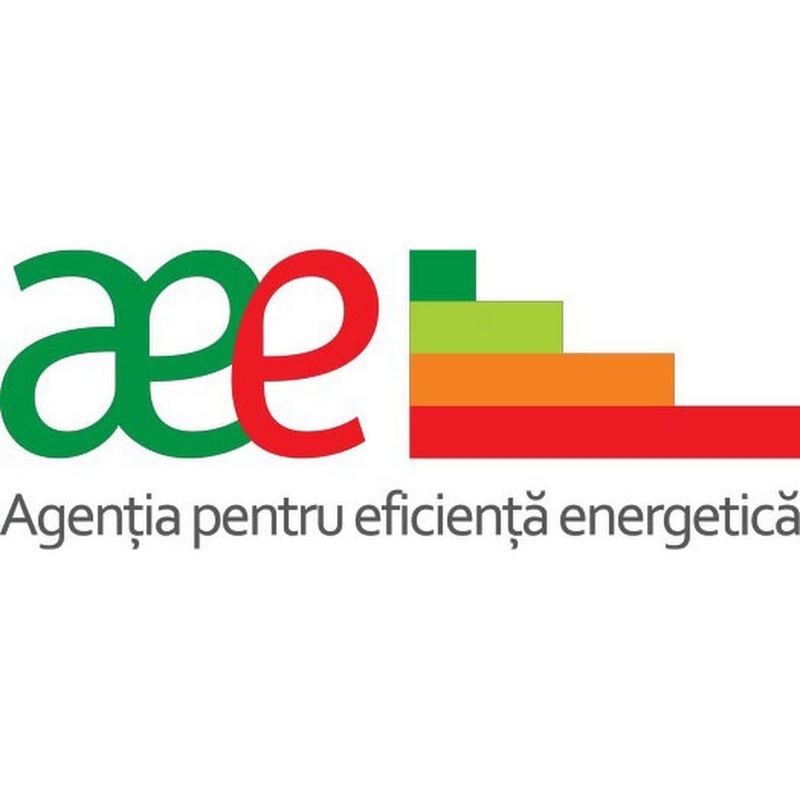 These are: municipal enterprise „Südzucker-Moldova”, Joint-Stock Company having in its composition the sugar factories in Drochia, Fălești și Alexăndreni, „Magt Vest” Ltd. – the sugar factories from district of Glodeni and Dondușeni, were is located the Joint-Stock Company Krajowa Spolka Cukrowa, with sugar factory from Cupcini. Featuring an industrial potential that is relatively developed in the NDR allows industrial enterprises in the field of processing of milk and milk products (Joint-Stock Company „Incomlac”, S.A. „JLC”), building materials (Joint-Stock Company „CMC-KNAUF”), sausage production (Joint-Stock Company „Basarabia Nord”, Joint-Stock Company „SoroMeteor”), glass manufacturing, manufacture of clothing (Joint-Stock Company „Mioara”, „Rada”), manufacture of footwear, wood processing, production of rubber and plastic, oil extraction (Joint-Stock Company „Floarea Soarelui”) etc. (d) food and beverage industry; (e) production of medical instruments and equipment, precision, optical. Over 50% of the industrial potential is located in Bălți. Other centers with development potential: Edineț, Cupcini, Florești, Soroca, Ocnița, Otaci etc. The companies have production capabilities that remain unused, with a relatively developed infrastructure, which can form the basis for the creation of industrial and technological parks. For a balanced and uniform development of the NDR, 3 cities with growth potential: Edineț, Soroca and Bălți were identified. In the NDR there are three free economic zones: the free economic zone „Bălți”, which has three zones, with a total area of 147,85 hectares, which operates 22 residents, free economic zone „Otaci-Business” – consisting of 2 parts, with the total area of 32,17 hectares, which operates 12 residents and the Free International Airport Mărculești –airport area is 265,2295 hectares, consisting of the aerodrome territory (205,59457 hectares) and territory (59,6395 hectares). The NDR is known to foreign investors not only by the presence of foreign companies in traditional industries– banking and petroleum distribution sector – but also in the production of building materials(Knauf), food industry (Südzuker, Metro, Fourchette), auto industry (Dräxlmaier) etc. 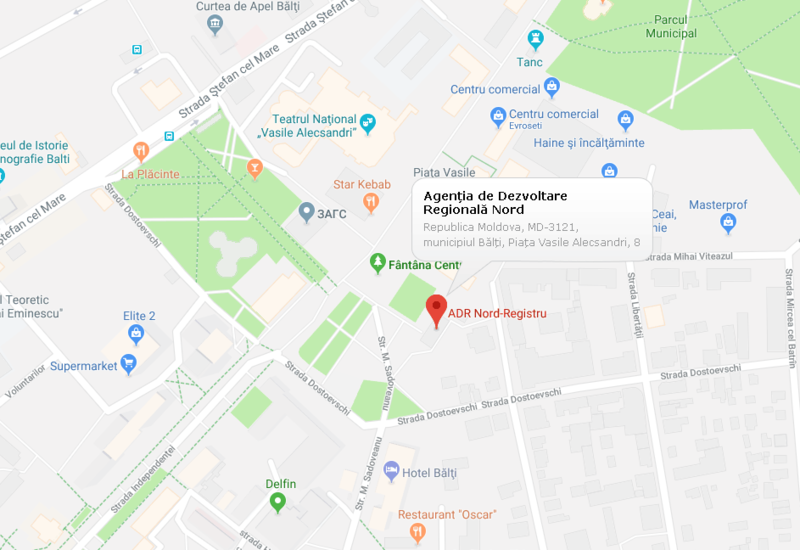 In the NRD there are four areas with the status of industrial park: Industrial park on the territory of Joint-Stock Company „Răut” from Bălți, Industrial park of the free economic zone „Bălți”, Edineț Industrial park and industrial park on the territory of Joint-Stock Company „Uzina de mașini de salubritate Fălești”. The agricultural sector of the NDR, as well as the industrial sector is of significant importance in the economic development of the region. This is due primarily to the fertile chernozem soils, which have an average of 72 credit points. The surface of the farmland is about 79% from total surface from NRD (about1 mil. hectares). Agriculture in NDR specializes in phytotechny, both through plant cultivation and animal husbandry, reproduction and animal breeding, contributing about 40% to total agricultural production of the country. The structure of agricultural production in the region share the highest–70% – is the production of vegetables, and 30% to animals. At the same time, the NDR has significant competitive advantages in raising fruits and vegetables due to the fertile soils and the favorable climate in the region. The gross harvest of fruits and vegetables in the region in 2010 constituted 129,4 thousand tons, or 65% of the total production of these crops in the country. About 65% of the plantations in the area are those from apple, which generates a share of about 70-75% of the export of this crop in the country. Small and Medium business enterprises represent an important segment of economic development of the region, actively contributing to the process of reviving the economy of the Republic of Moldova, including through the creation of new jobs. 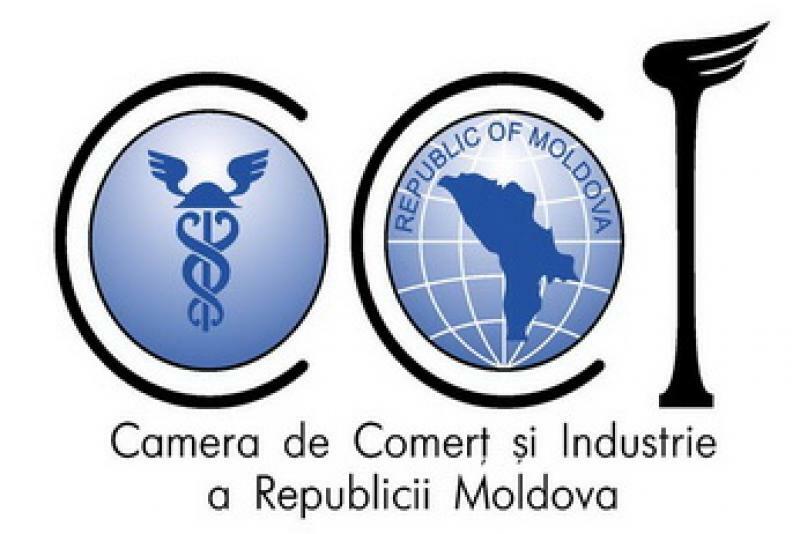 In 2010, the NDR had 5,675 large businesses, micro, medium and small-sized enterprises, or 12,1% of the total number of small and medium enterprises (SMES) in the Republic of Moldova. The number of SMEs in the region recorded a decrease of 0,2%, compared with 2009. The largest share in the number of SMEs are micro enterprises, followed by small and medium-sized ones. At the territorial level, the highest recorded turnover of SMES was in Bălți (35% of the region), districts of Soroca (9%), Edineț (8%) and Drochia, Fălești, Florești and Briceni (6-7% respectively). The lowest turnover is achieved by SMEs in districts of Glodeni (4%) and Dondușeni (3%). NDR has an important tourism potential which includes unique natural landscapes, protected areas, museums, ecclesiastical buildings of national importance, monasteries, caves, parks and natural reserves. The hotel industry of the NDR is comprised of hotels and accommodation units with a total capacity of over 2,5 thousand rooms, most of which are located in the municipality of Bălți and Soroca. Tourist heritage of the region comprises 178 ecclesiastical buildings of national importance, 102 protected areas with a total surface 16 thousand hectares, 2 beaches of national importance (Costești and Soroca), 5 monasteries, 46 natural landscapes, and 20 museums. Museum of History and Ethnography of the Bălți is visited by about 20,0 thousand people. - Rudi Monastery, Soroca district. Incorporating sites of interest in the NDR’s economy through the development of a network of national tourist zones, the location in the areas of service activities for tourists, will encourage entrepreneurship in rural tourism, which represent the development opportunities in the tourism sector in the region.